Like clockwork, Thanksgiving killed the Los Angeles summer even quicker than it did the Indians, and with the cold rain I get to pull out the long black cashmere and gloves. Woo hoo! The long nights with no car heater and slick streets are my element, anyway. And such nightlife, but I didn't see you at the Slits or the Handsome Family, so many lovely gigs and soirees, where were you all, out shopping? The Solstice is coming, friends, let's find a warm place to salute the ancestors, eh, maybe lean a few big stones up like Stonehenge. You also missed "Pearl Harbor Day" and Zombies at the Quon Bros. in Chinatown. Too bad! I've enclosed a remarkable image for this 65th anniversary of "last century's 11 September"; not a photo, this is a side-scan sonar image of the USS Utah, with the USS Arizona still sitting on the bottom of Pearl Harbor. The Utah was unoccupied and being used as a target for naval artillery practice in 1941, but the Japanese didn't know that and sunk it anyway; it is amazingly intact yet rusting away under the water, sure to outlast the sailors who died, and probably the memory of that day. A company that sells Bible-quoting Jesus dolls said it was surprised and disappointed that the Marine Reserves' Toys for Tots program turned down its offer to donate 4,000 of the talking dolls. We recently came across your site, californialibre.blogspot.com, while searching for fellow christian bloggers. A small group of us have started a new site called Christian Bloggers. Our prayer and intent is to bring Christians closer together, and make a positive contribution to the Internet community. While many of us have different "theologies", we all share one true saviour. Would you be interested in joining Christian Bloggers? Please take a few minutes to have a look at what we are trying to do, and if you are interested, there is a sign up page to get the ball rolling. We would greatly appreciate your support in this endeavour. May God Bless you and your blogging efforts. We look forward to hearing from you. This site describes how the "First Official thanksgiving in America" was held by English colonists at Berkeley Plantation in Virginia on December 4, 1619, "one year and 17 days prior to the landing of the Pilgrims in Massachusetts!" From Virginia is for Lovers, the tourism website of the Commonwealth of Virginia. You just knew Virginia would cop to that one eventually, the whipping boy of the South. Anyway, the subject of this rant is gonna be bigger than Christmas. I know I'm preaching to the choir, but I gather these bits of news up and I have to spread the love around. "Shopping for a New Earth" is no joke...and if we load up on crap for the holidays, then that's preachin' time. For thousands of years we welcomed the sun back on 21 December, as it began a happy turn to the north. That's what the Solstice and the true winter holiday are all about, the extreme end of life on Earth, the point where, if the sun took a powder, we'd all be acting out the end of a "Twilight Zone" episode. It's time for a new Thanksgiving and a new Christmas, one where we thank the night for ending and welcome back our creator star. "The northern California coastal city of Crescent City was assessing damage Thursday from a tsunami created by an earthquake off northern Japan"
We've got enough trouble just living peacefully on planet Earth...so for Christmas let's have some optimism for the future, eh? Computers are the top card in the house-of-cards complex civilization we built with coal and oil, argues Alice Friedemann. How do we leave our descendents knowledge they can use and be amazed by, information to fuel the next Renaissance? The task ahead of us is daunting, and I mean all of us, even you people who think you won't live to see it...like Madge used to say, "You're soaking in it." Got a California Library Card? Library administrators, Friends of the Library and adult library cardholders* are invited to participate in the planting of more California Poppies. Fall rain will encourage a proliferation of blooms if the seeds are planted immediately. The 104th anniversary of California's State Flower will be celebrated April 6, 2007. Fall and spring are the best times to plant. The California Poppy Project © is offering one free packet of seeds to adults in all 58 counties of California. To receive your free packet, send a #10 long business envelope that is self-addressed, with two $.39 stamps affixed. Information about the project will also be included. There is a limit of one request per person/ per address while our supply lasts. Duplicate requests, small envelopes and postcards will be discarded and none will be returned. A database of hundreds of thousands of records of "California vascular plant specimens that are housed in herbaria throughout the state." Searchable by scientific name, county, source, collection date, and other factors. Many of the records link to a corresponding map. Participants include selected University of California campuses, the Santa Barbara Botanic Garden, and the San Diego Natural History Museum. From the University and Jepson Herbaria, University of California, Berkeley. This overview of industrial hemp in the U.S. discusses early uses of hemp (such as rope, clothing, paper), the differences between industrial hemp and marijuana, potential markets for hemp (such as food and oil), and hemp legislation. Includes related links. From the Agricultural Marketing Resource Center (AgMRC) at Iowa State University. Will Forests Adapt to a Warmer World? This 2005 report "presents, for the first time, specific air pollutant information from 2002 for individual fossil fuel-fired power plants across North America." It provides data for sulfur dioxide, nitrogen oxides, mercury, and carbon dioxide, a map showing geographic distribution of power plants, emissions for specific facilities, and more. From the Commission for Environmental Cooperation, "an international organization created by Canada, Mexico and the United States under the North American Agreement on Environmental Cooperation." Good news:%A0The answers are out there. Background and updates about the U.S. Supreme Court case resulting from "Massachusetts and coalition of 11 other states ... request[ing] court review of [a] case involving regulation of greenhouse gas pollutants" by the U.S. Environmental Protection Agency (EPA). Provides press releases, fact sheets on the case and on Massachusetts global warming impacts, and links to court documents. From the Massachusetts Attorney General's Office. California Governor Arnold Schwarzenegger has once again reinvented himself. While his fellow Republicans suffer from the president's decline in popularity, Schwarzenegger is billing himself as a savior of the environment. Voters trust him, and his name has now become just as closely associated with politics as it once was with bodybuilding and acting. Trans- Atlantic Climate Pact: Can Arnold Terminate Emissions? And I say to all Californians, this was our turf in the 1970s, LET'S TAKE IT BACK! This California state program is "based on the concept that wasting resources is inefficient and that efficient use of our natural resources is what we should work to achieve." Find ideas for reducing waste in the home and at the office, material about zero-waste concepts (such as packaging redesign and food waste management), waste prevention fact sheets, and more. From the California Integrated Waste Management Board. Keep yourself informed at sites like this, and I'll be right there with you! Here's an early Christmas gift; KNOWLEDGE IS POWER! Yes! 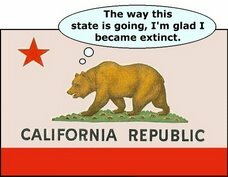 This site features a collection of reports "analyzing the expected impacts of climate change on California," including the August 2006 report, "Economic Growth and Greenhouse Gas Mitigation in California." Includes a "briefing on the state of climate change policy at different levels of governance" with links to related sites in California, other states, for the U.S., and for the globe. From the University of California, Berkeley.